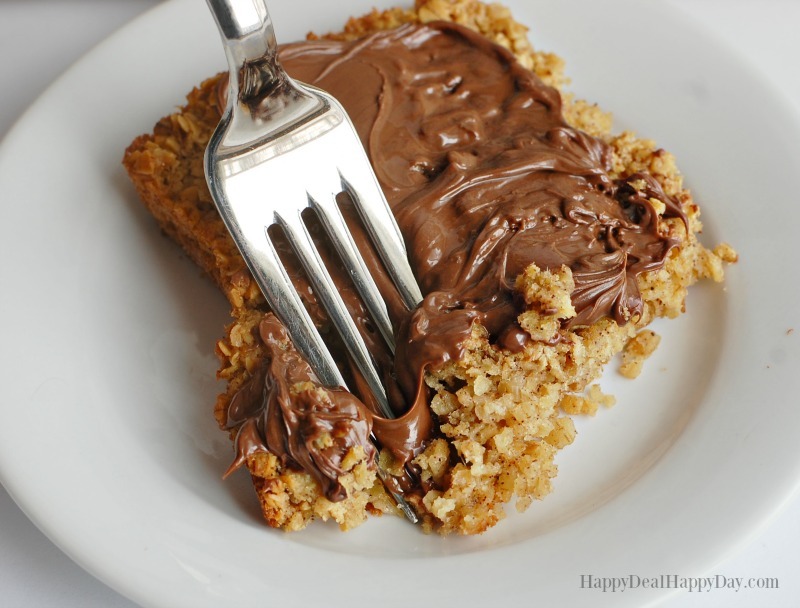 Quick Oats Baked Oatmeal with Nutella Frosting Recipe | Happy Deal - Happy Day! Beat eggs, sugar and butter together. Mix in baking powder, vanilla, cinnamon, and salt. 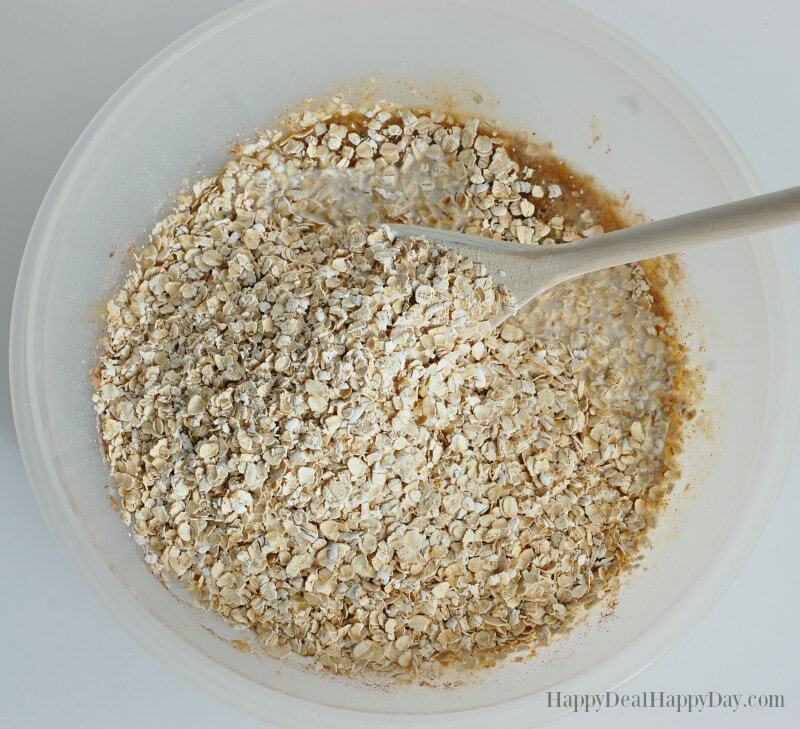 Stir in milk and oats. Pour into a greased 9X13 baking dish. Bake at 350 for 40-45 minutes, until set in the middle. 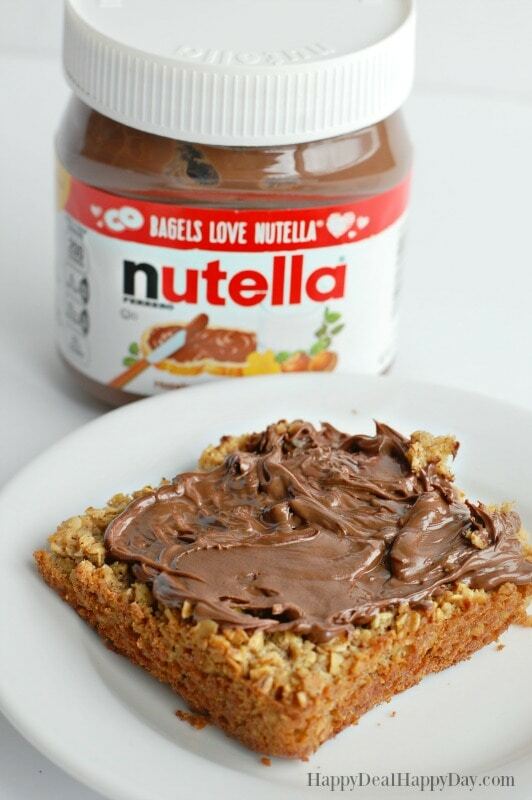 Let cool and frost with Nutella! 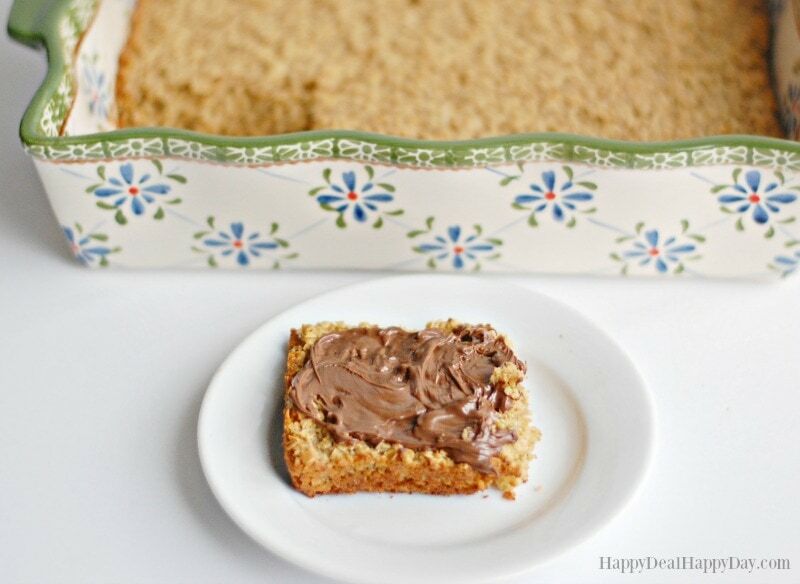 Here is an easy and yummy oatmeal cake that is frosted with the best - Nutella of course! Beat eggs, sugar and butter together. Mix in baking powder, vanilla, cinnamon, and salt. Stir in milk and oats. Bake at 350 for 40-45 minutes, until set in the middle. Let cool and frost with Nutella! I also garnished with some white sugar crystals. This works great as a breakfast dish (sans Nutella) or add that delicious hazelnut spread and make this a healthier dessert option! Find more dessert recipes over here! ← $0.49 Tums at Wegmans with New $0.75/1 Coupon! I’ve never come across a cake that’s made entirely out of oats and without any flour at all! I looooove oatmeal with Nutella, so I’m sure I’ll be all over this cake. I love Nuetlla anything! I love that you made it a frosting. It sounds amazing. Pinning Thanks for linking up with #FoodieFridays this week!